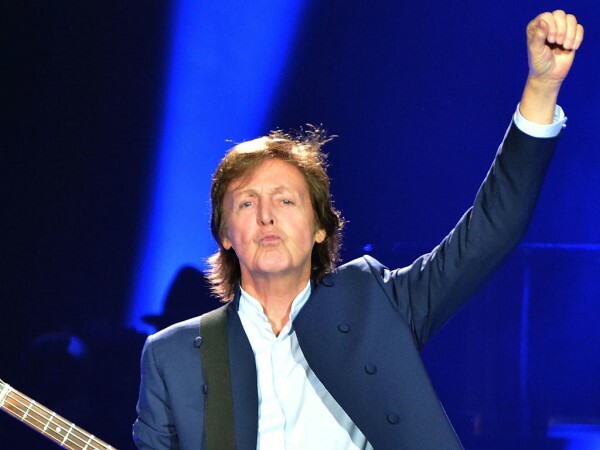 Sir Paul McCartney has shared his "frustration" at people thinking John Lennon was the Beatles. The 73-year-old musician and John formed the band along with George Harrison in 1960, with drummer John Lennon joining in 1962. They went their separate ways in 1970 and all produced solo music, but John's career came to a halt when he was assassinated in 1980. It was a difficult period for Paul and all involved, and not only because they had lost someone close to them. "When John got shot, aside from the pure horror of it, the lingering thing was, OK, well now John’s a martyr. A JFK. So what happened was, I started to get frustrated because people started to say, 'Well, he was the Beatles.' And me, George and Ringo would go, 'Er, hang on. It’s only a year ago we were all equal-ish,'" Paul recalled to British magazine Esquire. "Yeah, John was the witty one, sure. John did a lot of great work, yeah. And post-Beatles he did more great work, but he also did a lot of not-great work. Now the fact that he’s now martyred has elevated him to a James Dean, and beyond. So whilst I didn’t mind that – I agreed with it – I understood that now there was going to be revisionism. It was going to be: John was the one. That was basically the thing." He was even more dumbfounded when John's wife Yoko Ono, who many fans blamed for the split of the band, would come forward and claim Paul "did nothing". Paul has shrugged off the feelings since and is pleased people eventually realised it was a joint venture. The star has been enjoying the perks of fame over the years, which is also in part due ato his solo records and music made with his band Wings. Asked if he can remember what it's like not to be famous, Paul joked about how it used to be. "Yes. You can’t get in any clubs, you can’t pull any birds. It’s all very nerve-wracking. You don’t have any money," he laughed. "No! I can remember it. School, growing up in Liverpool [UK]. I remember a lot of being a kid. And then starting off with the Beatles, trying to get famous, writing letters, 'Dear Sir, we are a semi-professional rock combo. We think we’re very good. We’ve got a future...'"